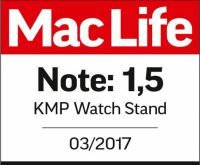 The KMP Watch Stand is the perfect partner for the Apple Watch: both captivate thanks to their high-quality materials, modern, clear design and innovative features like the elegant cable routing. 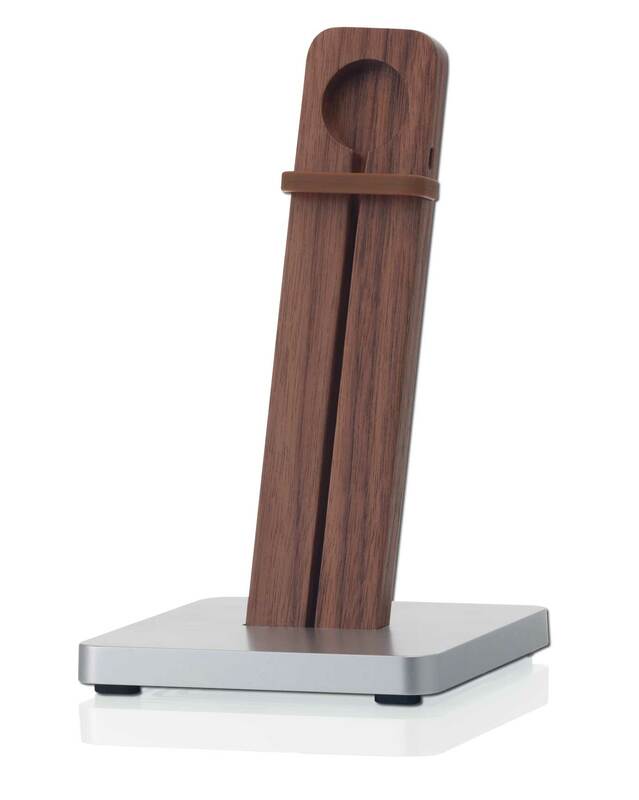 With the Watch Stand from KMP, you can present your Apple Watch just as it should be – in the very best light. The innovative cable routing prevents unnecessary cable tangles, ensuring a neat and tidy overall picture and protecting the cable from wear and tear. With the Watch Stand, tangled cables are a thing of the past. Thanks to the innovative cable routing inside the base the charging cable is kept tidy and any tangles effectively avoided. This not only looks better, but also prevents wear and tear and thus ultimately extends the lifespan of the cable. As with all our products, with the Watch Stand too we have paid particular attention to the quality of the materials used. 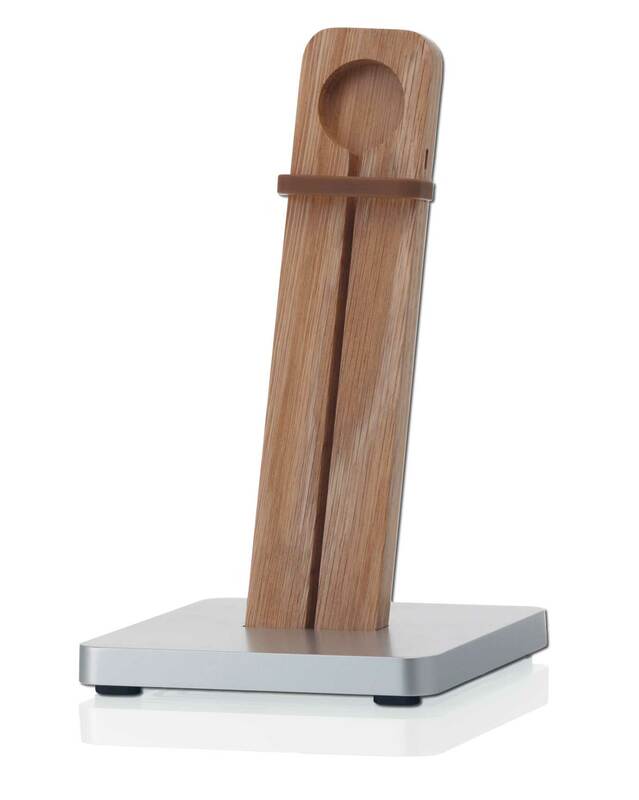 High-quality aluminium, real wood and acrylic give the stand its distinct look and make it a true eye-catcher. 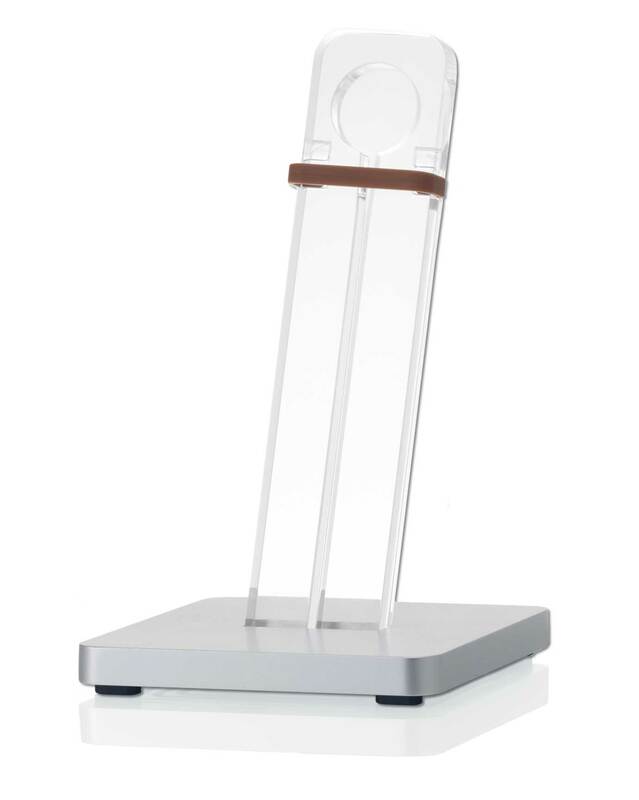 The range of finishes also reflects the concept behind the product, as the Watch Stand is available in oak, walnut or transparent acrylic glass. 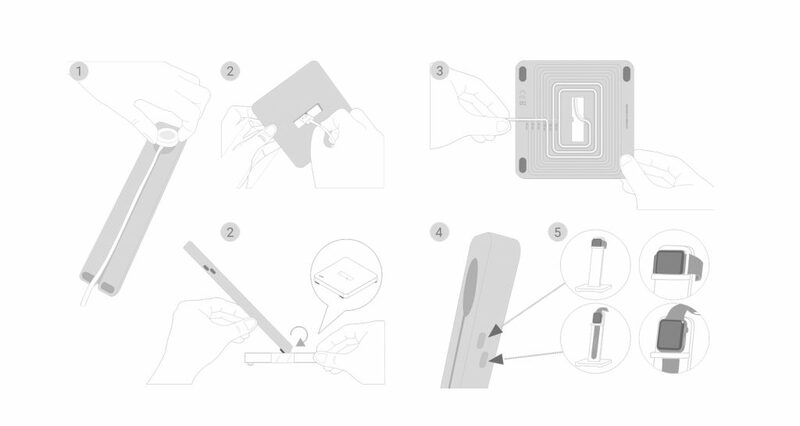 Assembling the KMP Watch Stand is child’s play and takes just a few minutes – no tools required and everything carefully considered. With the watch stand from KMP you decide for a safe and stylish stop at the store and an optical highlight with innovative design and cable management.